There is a lot to see in Utah, especially around the dinosaur rich region of Vernal. 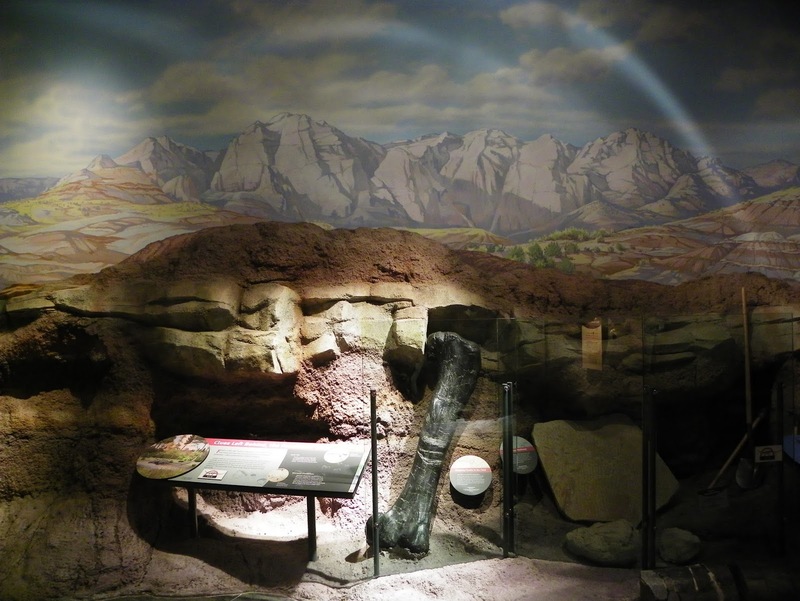 The town is the gateway to the National Dinosaur Monument; while Vernal itself displays a number of old-time dinosaur roadside signs and statues. 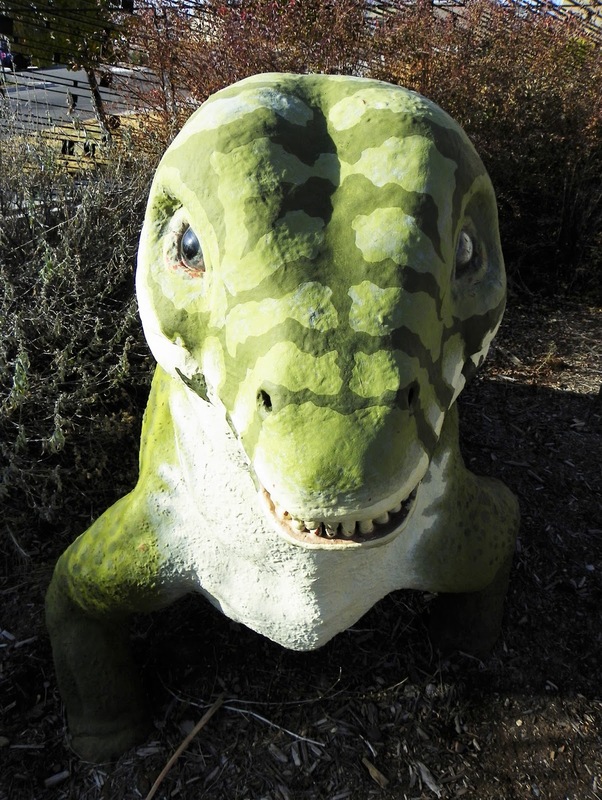 Just a few minutes’ drive away is also a town called Dinosaur, with streets named after the dinosaurs found in the region (all been covered in Utah part 1 and 2 if you are interested to learn more about these locations). 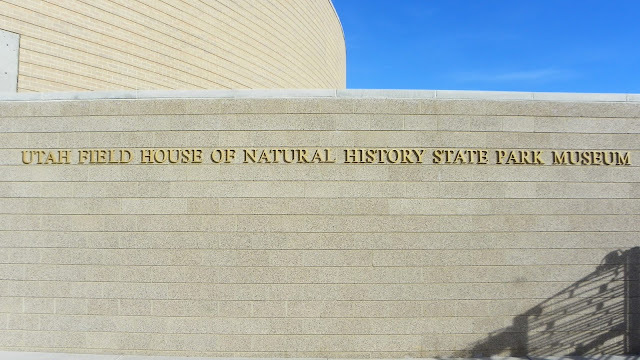 There are three main halls, all circling a large rotunda, with a few small side spaces for temporary exhibits – and the majority of these contain specimens from the nearby, world famous, Unita basin. 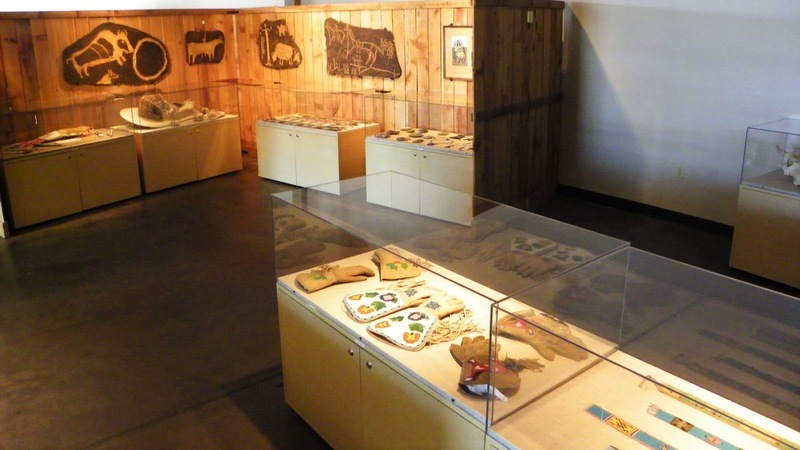 The first version of the museum was opened in 1948, and has clearly undergone a number of renovations as the display today is fresh and dynamic. After entering a reconstruction of the local geological formations, where many of the fossils were found (this includes the display of a palaeontologist field camp), visitors are confronted with a canyon wall embedded with fossils along various layers, encouraging you to try and figure out what they are and where/when they belonged. This path leads to the first hall, where three dinosaur skeletons make up the Jurassic Gallery. 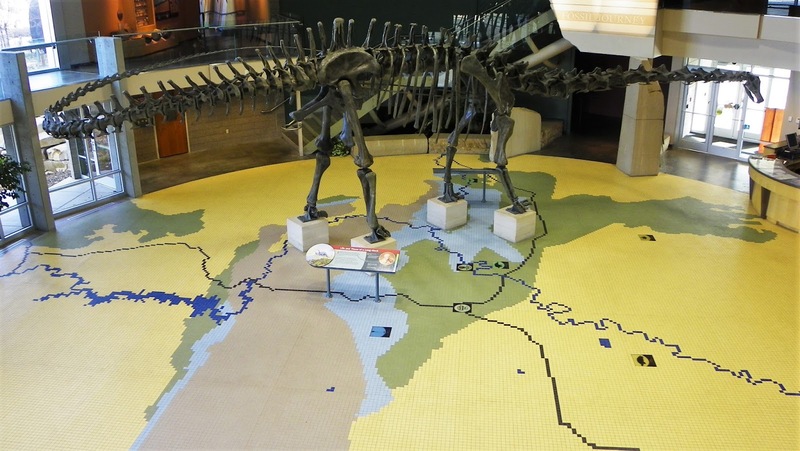 Central is a Stegosaurus skeleton, which you can walk partly around, with fossils showing specific features lying about it. This includes the part of the stegosaur spine where it was once believed a second brain was housed. Today it’s believed this large cavity held a glycogen body, a mysterious structure also found in birds. Further back is Allosaurus, feeding on the unlucky skeleton of a medium size sauropod, Haplocanthosaurus. 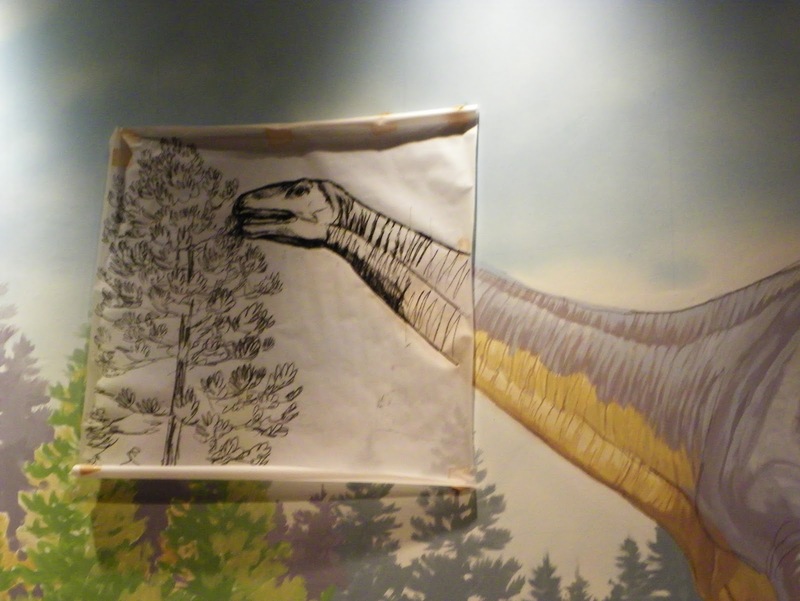 One of the clever features I must tip my hat too is the mural behind these dinosaurs. The mural is not only world class, it has a sense of humour, something rare in the world today. If you look closely you will noticed the painting seems to be incomplete, especially around the edges and at the head of the Haplocanthosaurus. 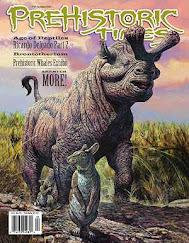 The reason for this is a simple one, the head of the sauropod has never been found, so how can you paint the head of an animal when you don’t know what it looked like? Clever! There are some nice touches in this room, including a number of hands-on activities for the kids. This all leads to a small ramp with light boxes embedded inside. This path is like a time leap, skipping visitors from the Jurassic to the Eocene- the other great fossil beds the region is known for. 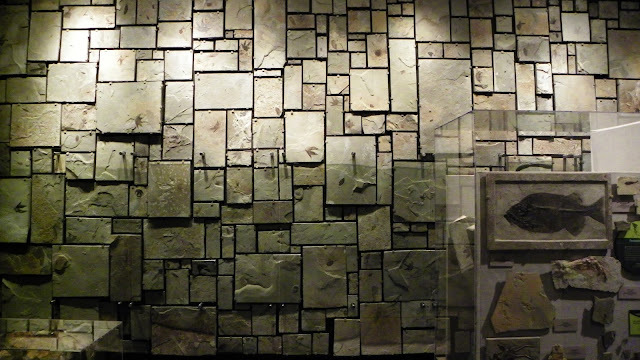 What first confronts you is an impressive fossil wall, covered in the small, brick-like slabs of fossil material from the Green River Formation. 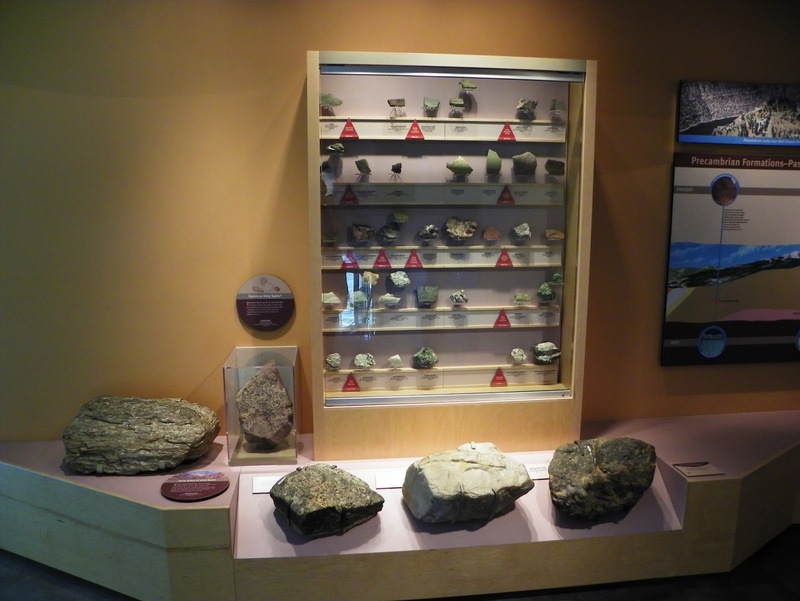 Visually stunning, this wall shows the incredible diversity of species collected from these rocks, and is a real eye opener. 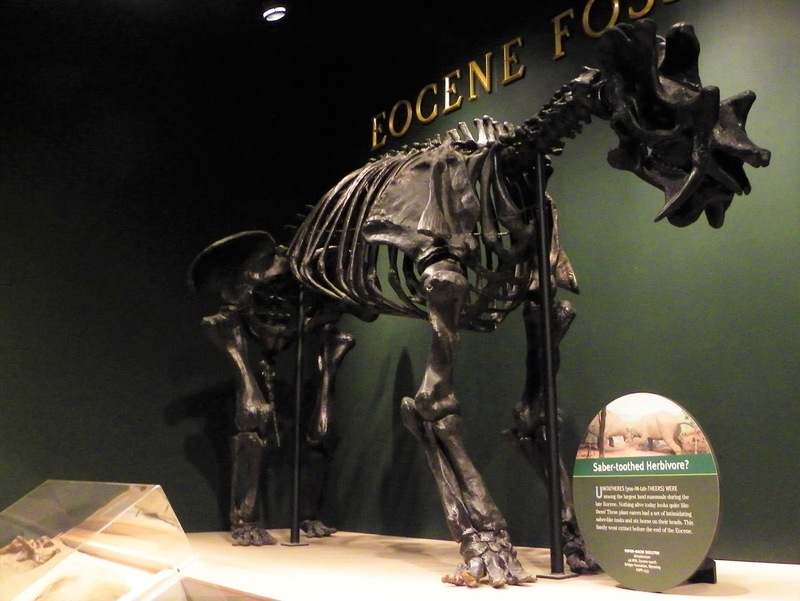 The display also includes a number of the enormous mammals that once lived in Utah, including the bizarre Uintatherium. 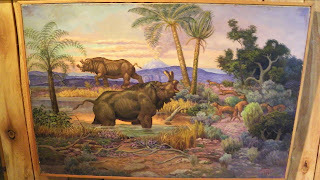 This includes a life-like diorama of a moment in the ancient past, with two of the great beasts fighting each other- their combat watched by the various creatures they shared their world with. 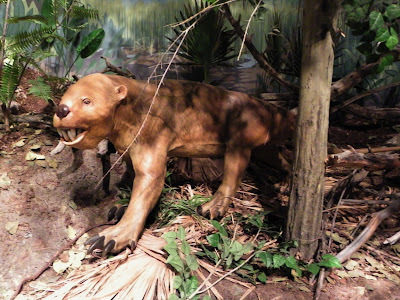 This includes a strange creature called Stylinodon; one of the last and largest taeniodonts, a group of herbivores that grew as large as a leopard, and are unrelated to any modern species of mammal alive today. Utah also has an outcrop of Precambrian rocks, and the museum has a small display of some specimens collected there. This includes a large wall-relief revealing where the rocks are in relation to many of the modern features of the state. Another clever idea is the use of windows in the museum. 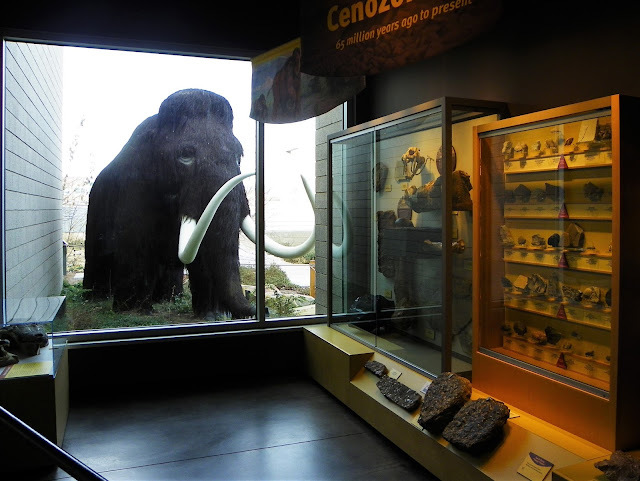 These often open onto a model, such as a mammoth - models that would take up invaluable space if they had to be kept inside. 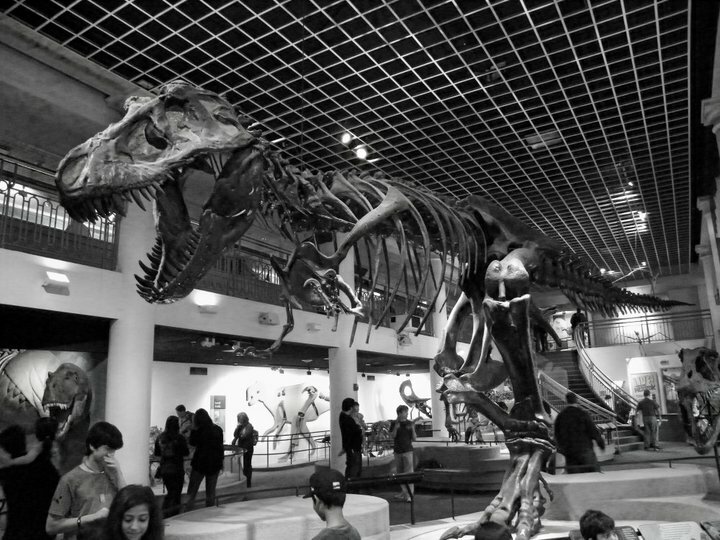 In the main rotunda is housed the largest display in the museum, the enormous skeleton of a Diplodocus. This stands over a mosaic geological map of Utah, and it’s impressive to get up so close to something this large. One of the last displays is about the long anthropological history of the region. This includes articles and images from the Fremont Indians - an unfortunate name I feel as it reflects the name of the river, named after John Charles Frémont - a man distinctly not Native American. The local people were related to the Utes and Navajo, so it would be nice to have a name that reflected this culture, but that's my own, personal opinion. Once outside, there is also a garden walk, containing over a dozen life-like models. 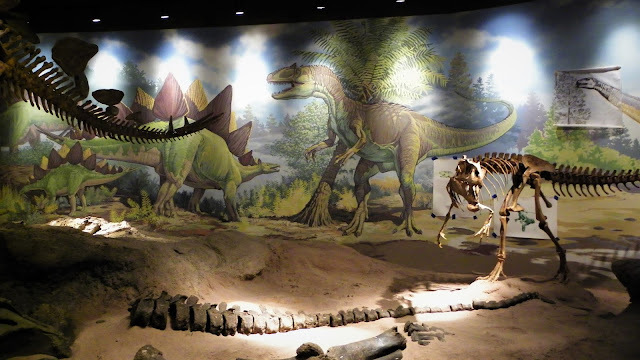 These are not just dinosaurs, but numerous prehistoric creatures, including pterosaurs and models of Mochops, which I might be mistaken, but could be the only life-size models on display anywhere (I could be wrong about this, so please let me know if I am). 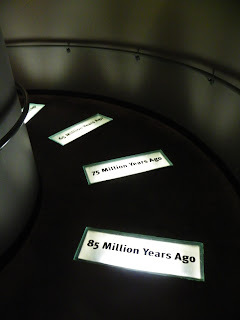 all in all, a great museum, well worth a visit.